The first dance is “Itne Bade Jahan,” with Vyjayanthimala. The second, at about 4:45, is “Hai Tu Hi Gaya Muhe Buhl” with Kamala Lakshman. (For some reason, both get Lata Mangeshkar’s voice.) Then, at the very end, there’s a brief superimposed glimpse of Vyjayanthimala doing “Bum Bum Bum Baje Dumro,” a dance that I posted back on her birthday, which is also screen capped in the present image header. And believe me, I’ve seen a bunch of them at this point! I left it a “mystery” for a little while (for those who didn’t go to the YouTube post), but I’m sure the puppets gave it away. 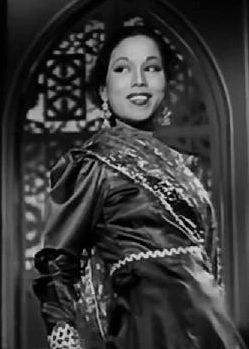 The movie is Kath Putli; the song is “Bol Re Kathputli.” This movie exceled in the qualities that I love most in old Indian movies: supberb dancing – by Vyjayanthimala, mostly, but also by Kamala Lakshman in a couple of scenes; great, sob-producing melodrama; fine social consciousness, especially about the struggle to get out of poverty (and what it takes or means to do that by becoming a star). 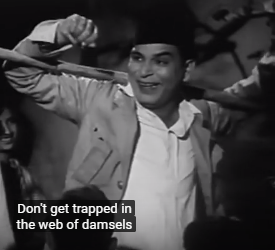 I also enjoyed the very charming performance by Balraj Sahni as the theater mentor who turns out to be remarkably sensitive and kind-hearted (absolutely not a Svengali!). Add to that beautifull music by Shankar Jaikishan (one of their best soundtracks, I think) and some good scenes, near the end, of Vyjayanthimala speaking out as a woman in opposition to some bad male behavior. (Her character is arguing with a husband who has turned into a bit of a jerk. But her arguments seem to have a universal quality, bemoaning the plight of woman in general – maybe even foreshadowing Vyjayanthi’s role in Sadhna the following year). And, of course, there are the puppets! This movie certainly should appeal to anyone who saw the prior year’s Chori Chori and enjoyed that scene for “Jahan Mein Jati Hoon.” But this time around, the puppets are imbued with a much heavier dose of metaphor. I was hoping to write this up with screen caps and all that good stuff. But that may or may not happen… I’m a bit tired right now, having had to do some gruelling job-hunt-related chores the past couple of days. Struggling against an unfortunate pull of (global) fate, trying to make ends meet just like almost everyone. I guess it’s a good time for me to see a movie like this too. And for many people… The tears should flow more easily if you’re struggling as well. P.P.S. [2/1] And speaking of quality checking or lack thereof, I have also noticed that a little further down in that wonderful copy on the DVD package, it says that Pushpa’s husband, Shivraj, is played by “Kamala Laxman.” Huh?! (By the way, credit to Memsaab for initially providing this perfect phrase “quality checking” (over on her blog) to describe something that so many of these Indian DVD makers seem to lack (though, fortunately, that problem never realy detracts from my love of the films themselves).) Then, to make matters worse, when I did a search to see what other information people had on the film, I saw about a half a dozen links exactly repeating this sentence that said Kamala played the role of Shivraj! And this is just a fantastic rock’n’roll number from Shankar Jaikishan. Jaikishan is in the clip, conducting the orchestra. Singing by Kishore Kumar (duet part with Asha Bhosle, I believe). Dancers Jayshree T. and Mehmood (Minoo Mumtaz’s brother). This seems to be a very worldly number, especially in the Hawaiian part and the part involving the other kind of Indians. Jayshree T.’s wearing blue; I don’t know who the other dancers are. Singers are Asha Bhosle and Usha Mangeshkar, musical director Ravi. 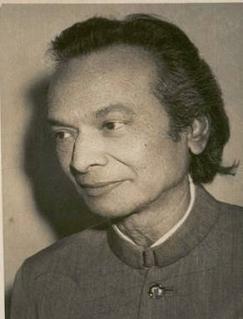 Dhund was directed by B.R. Chopra. There are moments in this dance that remind me strangely of a couple of mujras in a much earlier film that he directed, called Sadhna. But then sometimes it’s very different, too. Jayshree T. is very unique. Every so often, I look at a bunch of dances of hers that I haven’t seen before, and I end up liking her even more. Out of the dancers who came up in the late ’60s through the ’70s, she is one of the very best. The topic of this post popped into my mind after I read a post at Memsaabstory about a movie scene in which Hema Malini has a doll that looks just like her that starts to sing and dance. Although obivously in a very different context, that’s the same kind of thing that happened in “Jaane Kahan Gaye Woh Din” from Mera Naam Joker! P.S. I originally intended to mention this only in comments at Memsaab’s post, but at the time anyway, the comments function didn’t seem to be working (for that blog or others, for that matter). So… A nice excuse to take it to my blog and post an unusual scene in a movie that I’ve lately been wanting to get back to repeatedly. This blog is now called Dances on the Footpath. But the address is still the same, so if you want to keep “Rough In Here” in your lists, that still works.